HANDCRAFTED LUXURY. MODERN LEATHER GOODS FOR THE MODERN WORLD. The Post Leather Pouches were inspired by the need to contain the many little things we collect and need on an everyday basis. The source of inspiration for the design was a paper envelope. 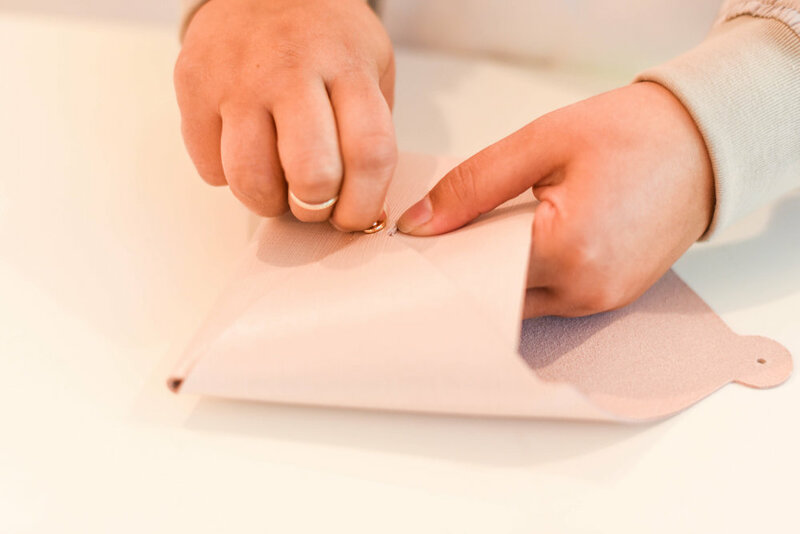 Invented first in China in the 2nd Century BC to gift money, an since then carrying letters to love ones, important documents, and greeting cards for all occasions. Naturally, it was the perfect item to model off of. Rather than calling it the "envelope" the name was chosen for where envelopes and mail first need to go before ending at their final destination, the Post Office. The name was also fitting as the closure of the pouches are a small little gold post and button. Each and every Post Leather Pouch is made from one piece of beautiful Italian leather and a 24K gold plated button. 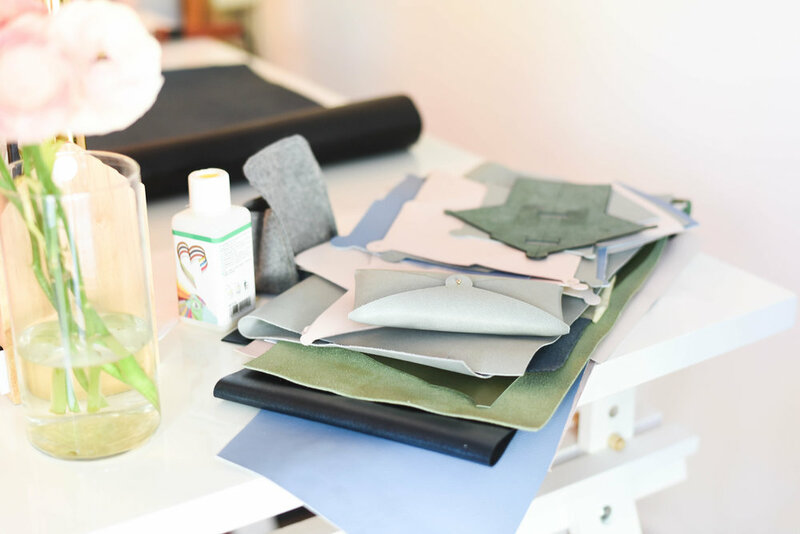 Each pouch is cut, cleaned, edge, stamped and assembled by Amal in her Studio in Sacramento. Leather is prepped and cut with the help of modern technology. Each and every piece of leather is maximized to the fullest, by the tessellating the pattern of the pouch. 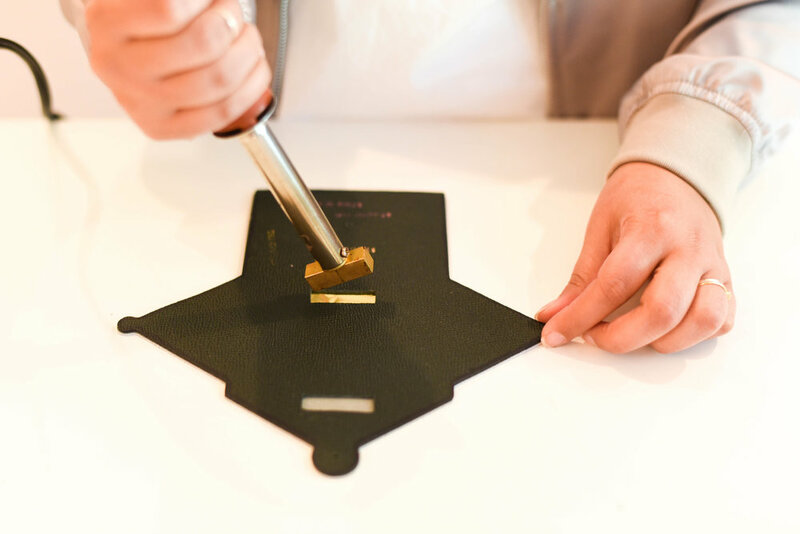 After cutting, each leather pouch is hand stamped with the Studio FIG logo, edges are painted with leather edge paint and then assembled. If customers have order monogramming, that is completed at the end. Sorry, there are no photos of monogramming, as we have developed our own unique way of doing it and would like to save some the studio magic!